The calendar has turned and it’s officially 2013. At this point though, you’ve likely already written your New Year’s Resolutions, discarded them, and stopped caring. Well, there’s always time to get back to the gym or start watching what you eat, but when it comes to your business’s web presence, you shouldn’t delay taking those positive strides forward. With the following tips, you’ll learn how to improve your local SEO presence in 2013 and beyond. Redefine Local: When we’re working with clients to improve their local search engine optimization, we’re often surprised by how differently people view the term “local”. Of course, this is somewhat dependent on what industry you’re in. One client’s previous SEO company decided that their “local” target should be the nearest big city – some 30 miles away. As a community-based service provider, targeting that city did absolutely nothing to bring their business new customers. Many business managers need to learn to reevaluate or redefine local, and target their prospects more effectively. Remember, it’s not about what your highest amount of potential traffic is, it’s converting visitors into paying customers and clients. Establish Your Foothold: Once you have your local target more accurately pinpointed, you need to establish your presence. That means setting up shop with relevant and important social networking sites and communities, including the “biggies” like Facebook, Google+, Twitter and Yelp. You can’t become prominent players there if you don’t even have a presence to begin with. Utilize Existing Connections: A quick and easy way to improve local search engine optimization is to utilize the existing connections you and your business already have. Surely you already have clients, colleagues, partners or employees. Hopefully happy ones too. Well, put in the leg work and ask them to share your information on their Facebook page, or write a review on your Yelp or Google listing. Abandon Old Techniques: SEO is rapidly evolving, and that’s particularly the case with local SEO, which is a relatively new sub-discipline of online marketing. What worked a few years ago probably doesn’t work today — it may even be considered “black hat”, as opposed to “white hat”. Don’t stubbornly stick with strategies which will only hinder your efforts. Think Social: Local SEO and social media plans are very closely intertwined, and in fact, effective social networking is in many ways the foundation of your “local SEO” efforts. So, get out there and share, share, share! Borrow Best Practices: When in doubt, take a look at your competition and see what they’re doing effectively (and ineffectively). Don’t be afraid to borrow best practices. Take the aspects of their marketing plan which are working wonderfully, and tweak them for your own business. Learn from the competition so that you can catch up to them, and then leave them in the rear view mirror. We’re all borrowing best practices all the time anyway, besides the single first person in any field to think up a new idea and put it to use. Ready to take the next step? 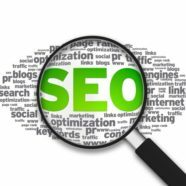 Contact Washington DC SEO today and we’ll provide you with a free consultation on how we can improve your local SEO presence immediately.